This edition of LaForce Likes are these fun friendship bracelets I saw on pinterest. I definitely made some friendship bracelets back in the day for my BFFs! 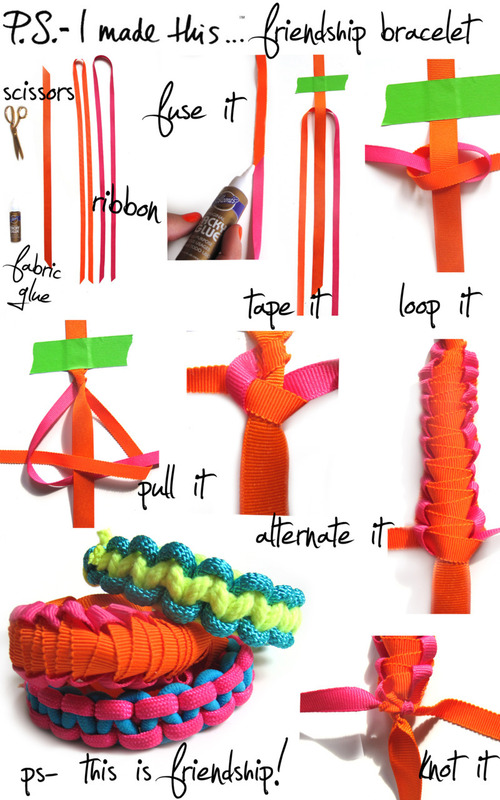 I could totally see myself making these with my niece Abby - she is only going on 5 but likes everything crafty. A girl after my own heart! I seriously cannot wait until she gets a little older and I can teach her more. I really like this one the best but it's only the picture someone uploaded with no instructions. But perhaps someone with more crafting expertise a.k.a mom could figure it out. It looks like it only uses rope and ribbons. It's possible that these (which do have instructions) might be put together the same way as those above. Regardless, they are cute too! Have you DIY'ed any great crafts with kids lately? Do share!